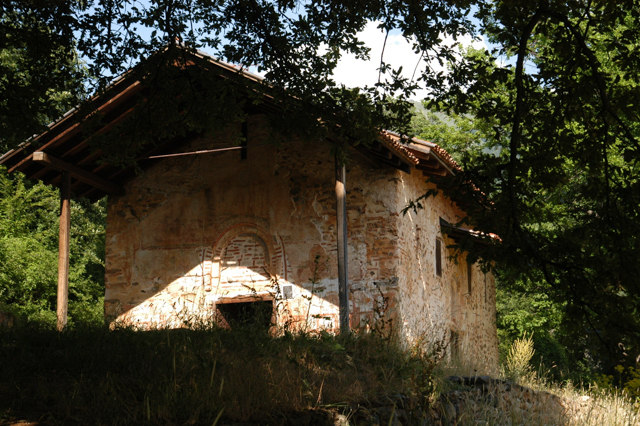 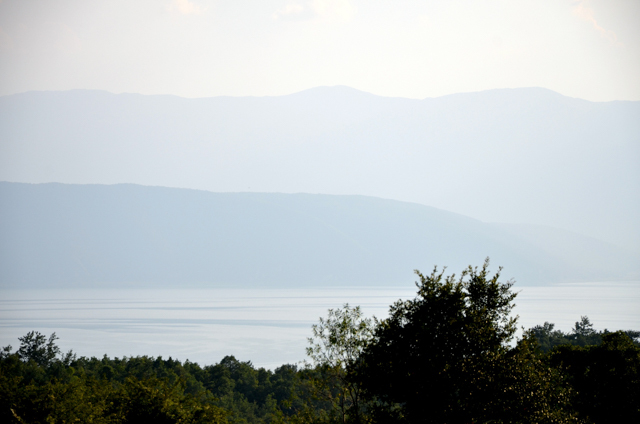 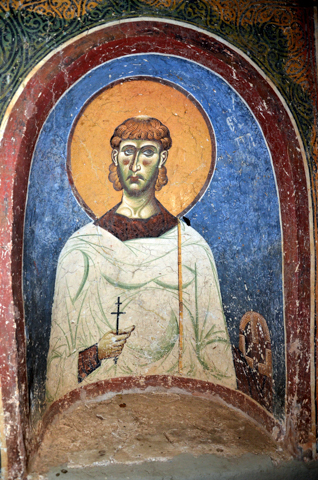 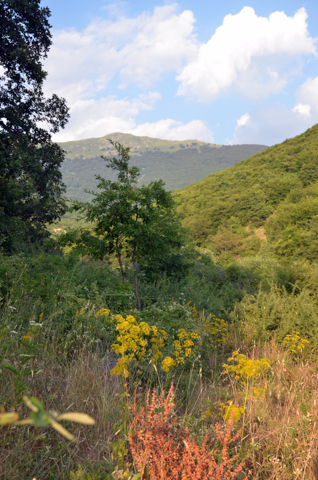 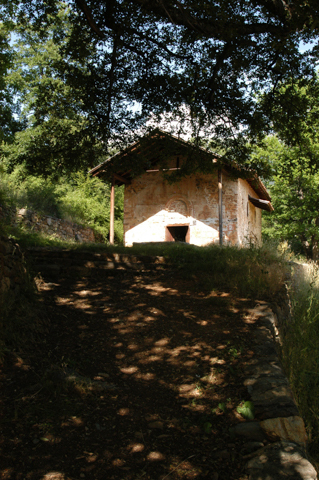 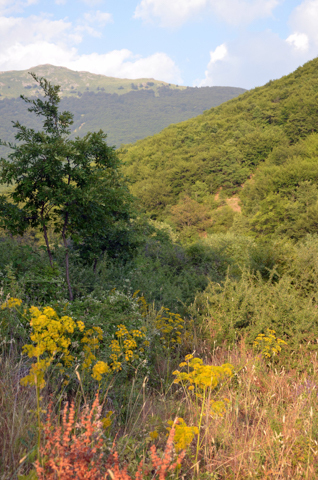 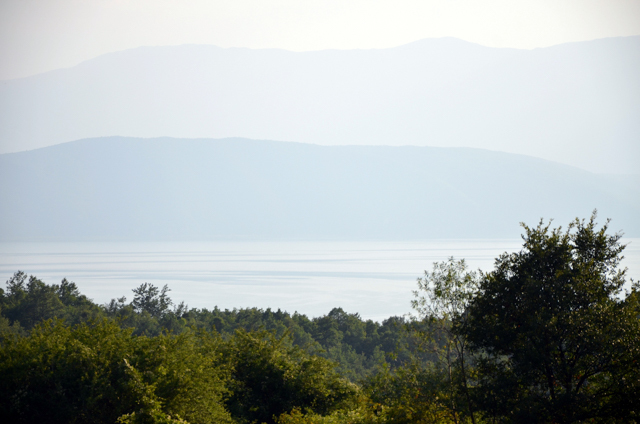 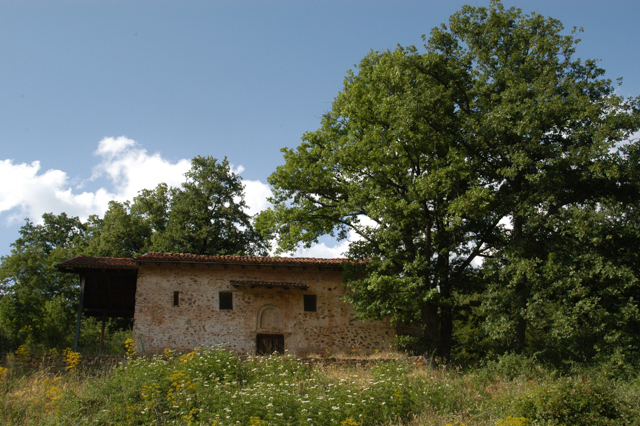 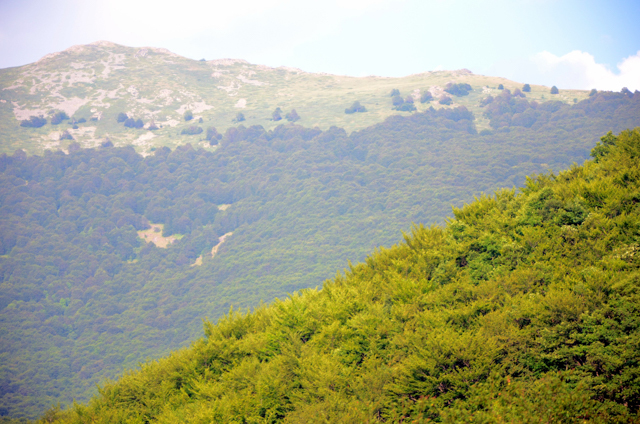 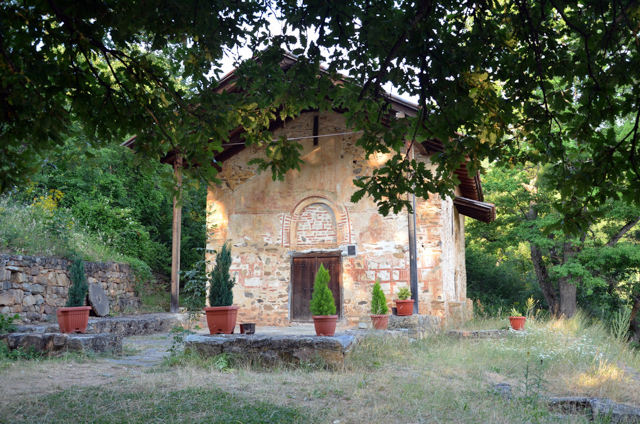 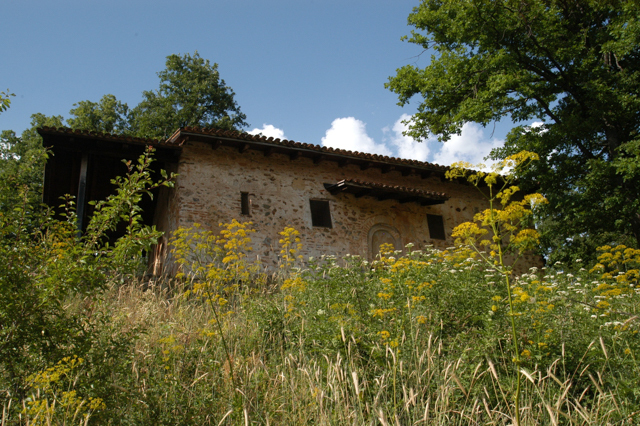 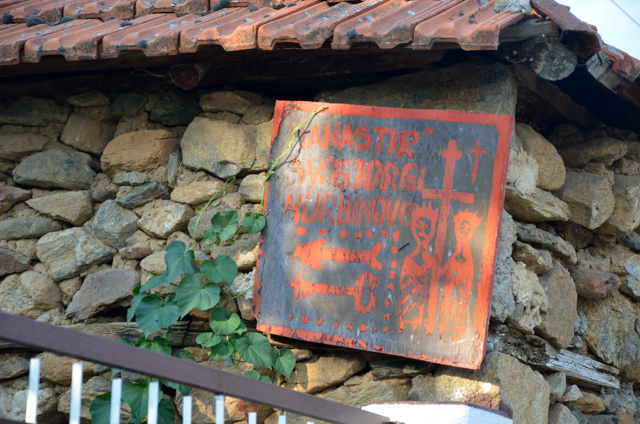 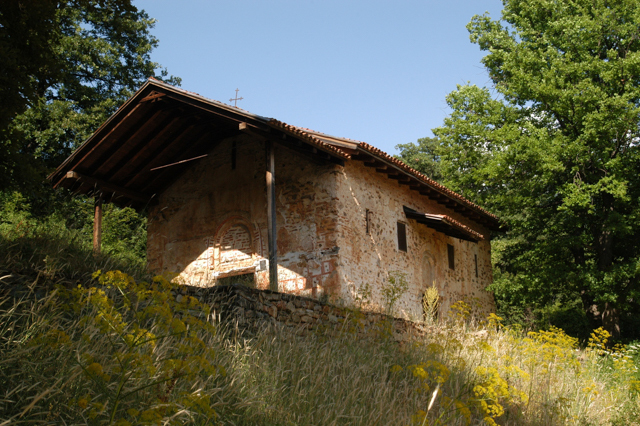 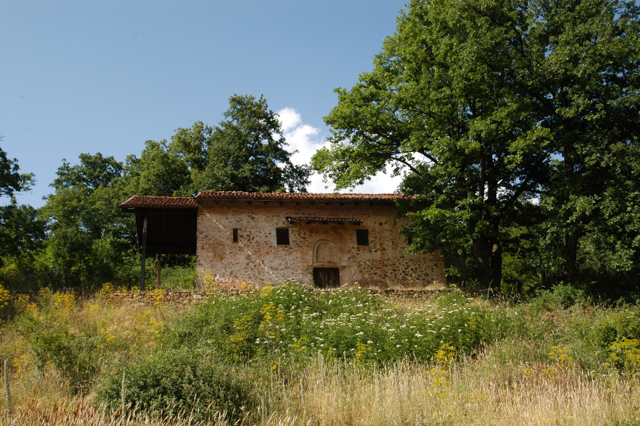 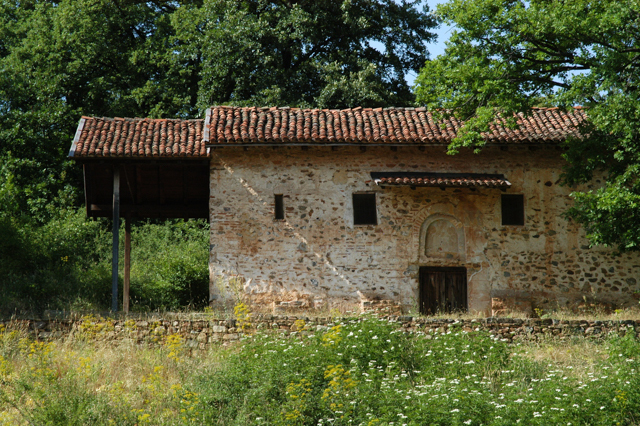 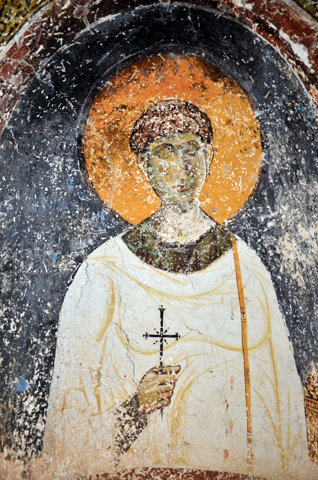 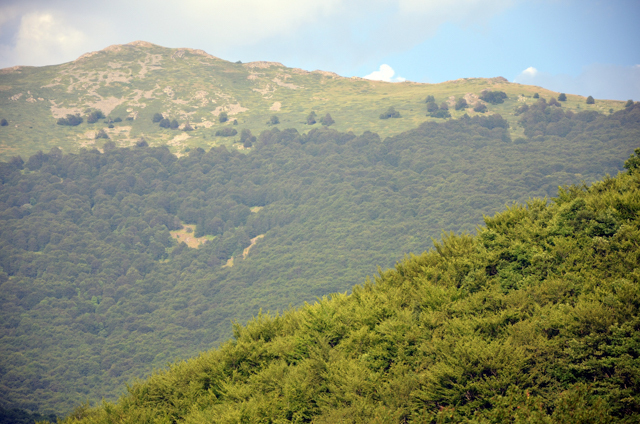 This monastery dedicated to St. George is located near the eastern shore of Lake Prespa on the slopes of Mount Pelister of the Baba Mountain Massif near the village of Kurbinovo (municipality of Resen). 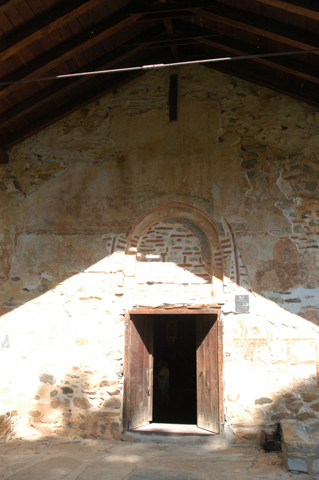 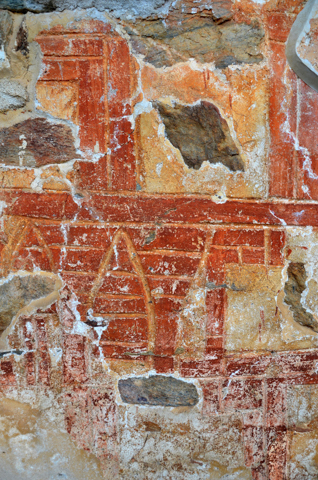 An inscription above the altar informs us that this church was in 1191 A.D. 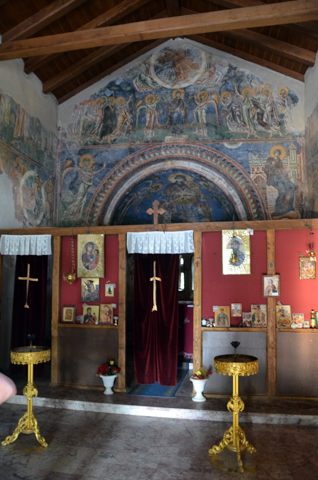 This church is off the beaten path for most tourists, but the Byzantine frecoes in this church are astounding. 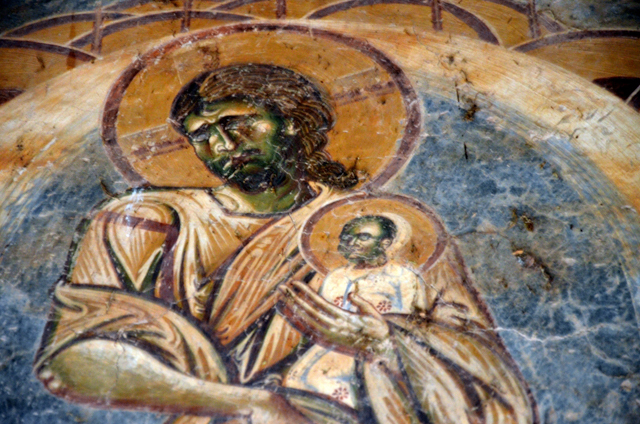 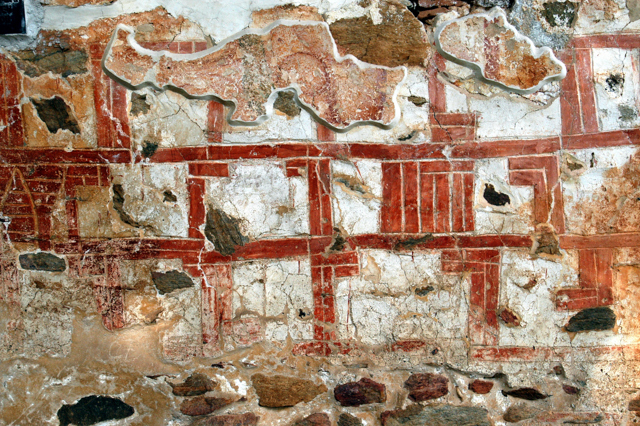 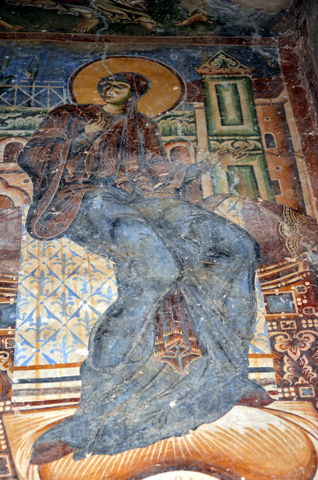 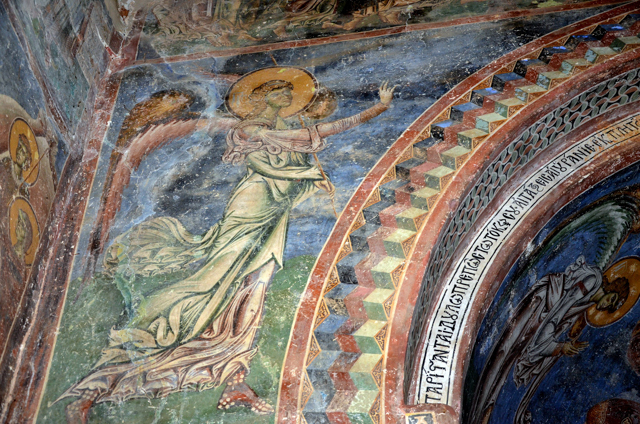 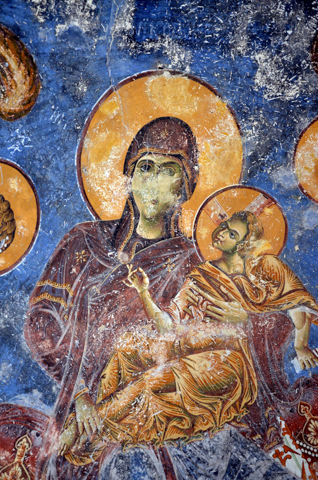 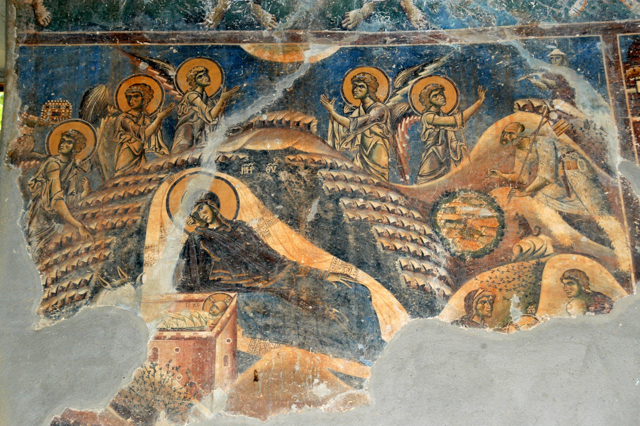 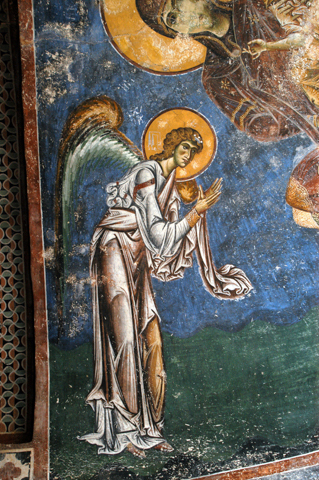 The most famous in the Annunciation scene (see second gallery below) which can be found in the church’s apse just above the altar featuring the Madonna and Child (eastern wall of the church). 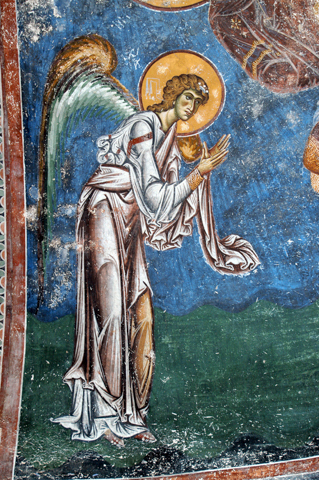 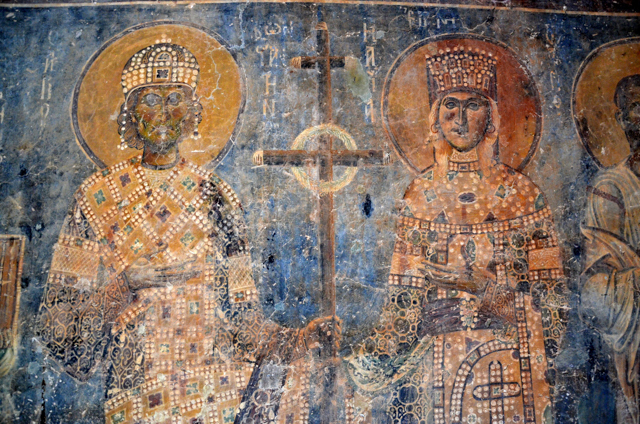 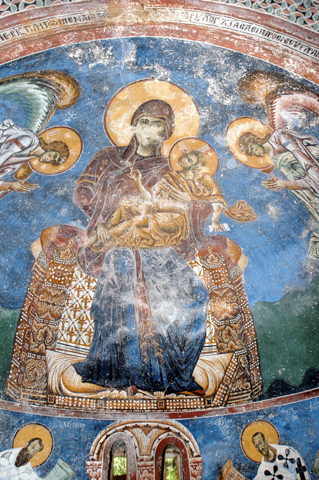 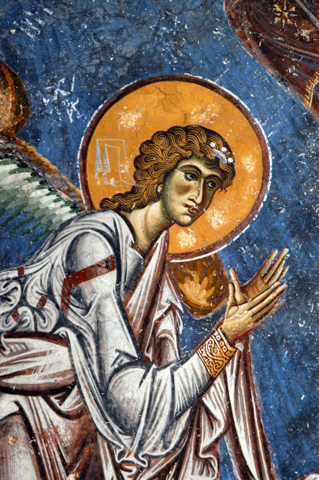 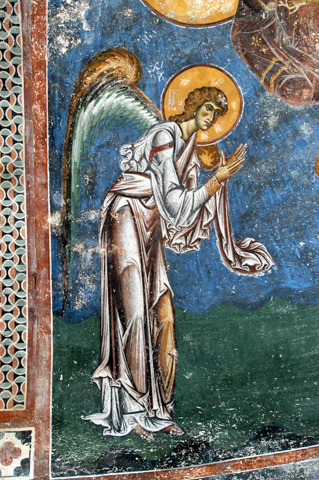 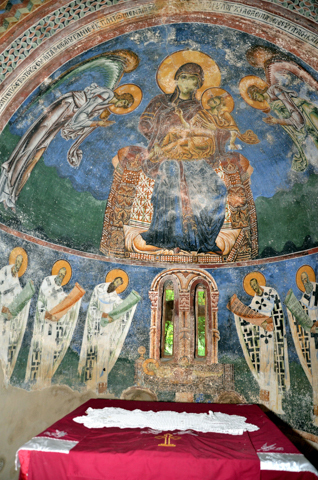 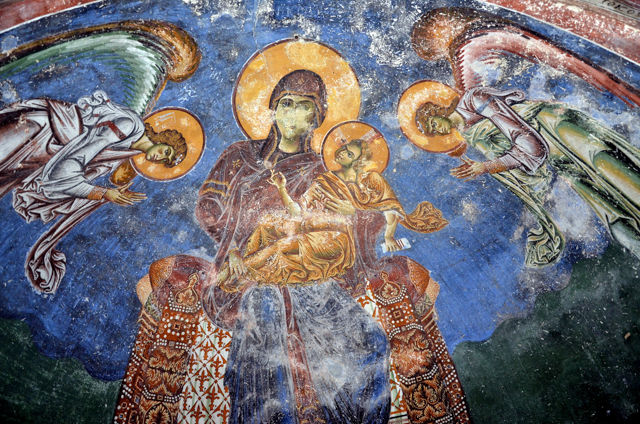 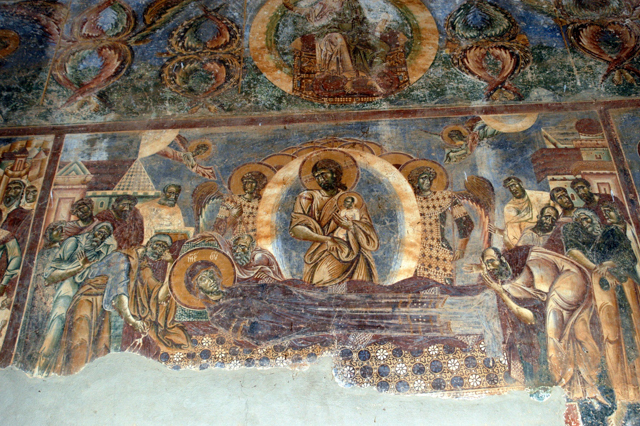 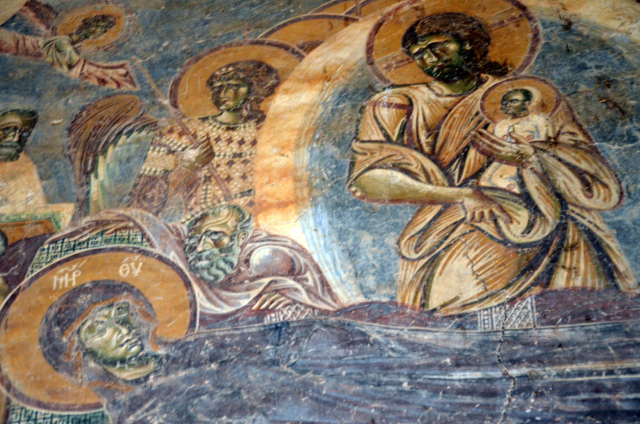 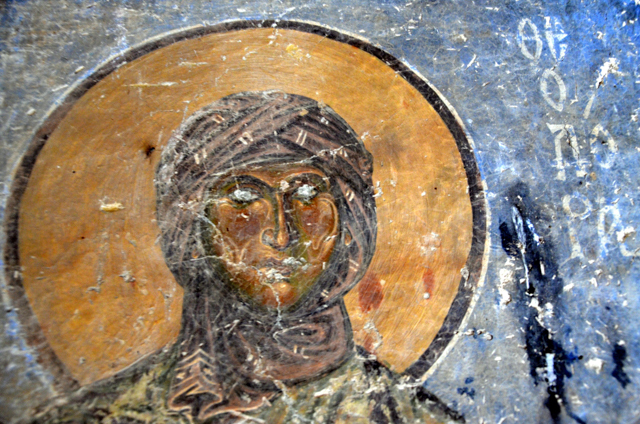 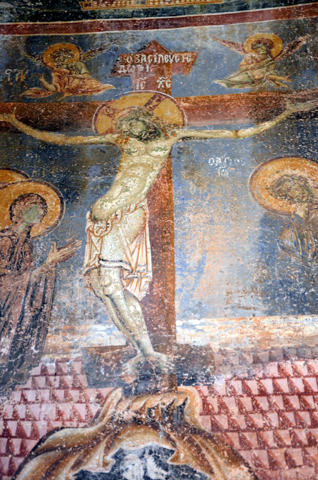 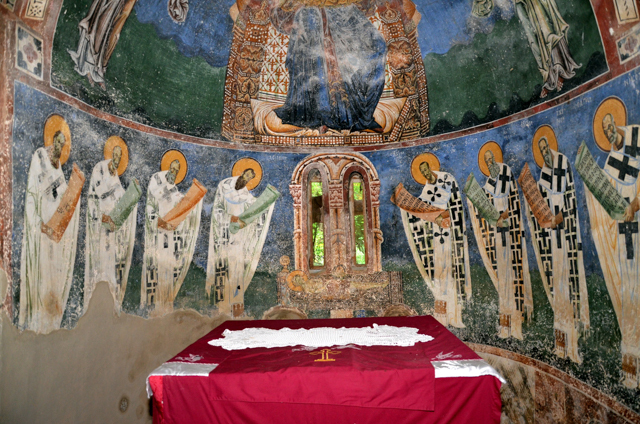 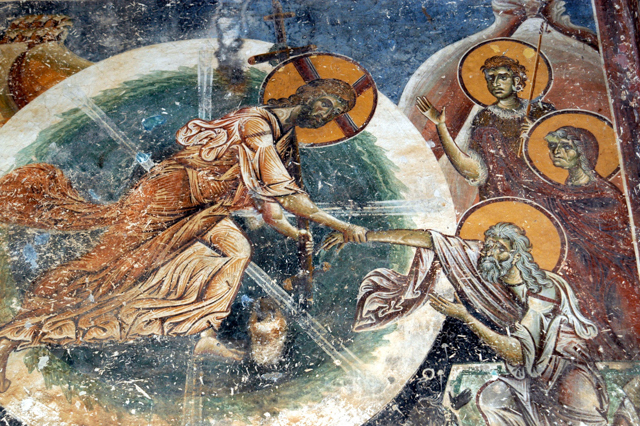 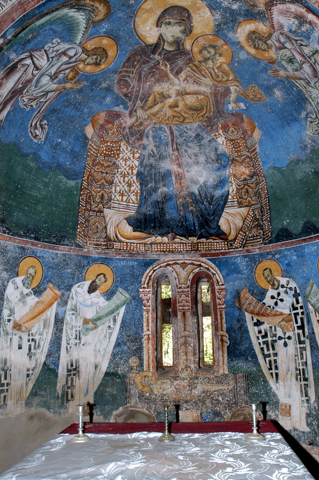 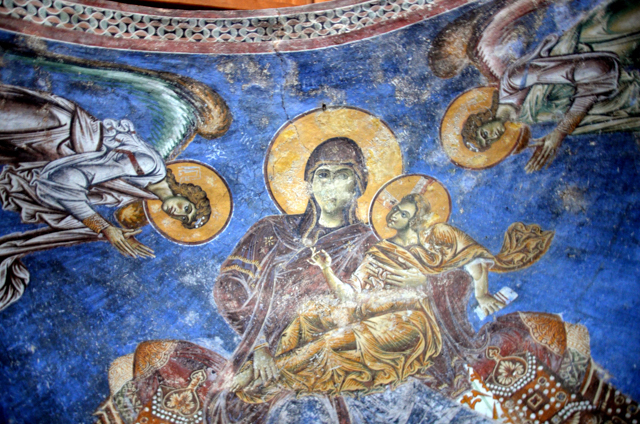 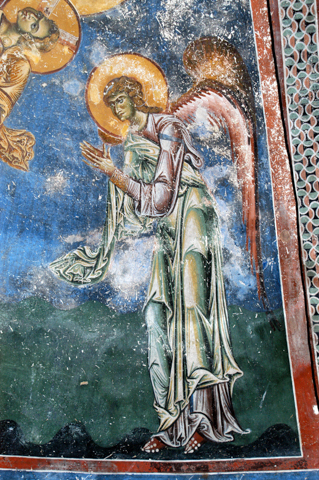 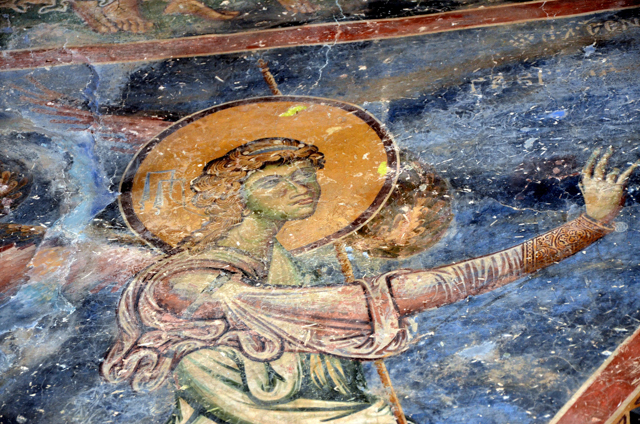 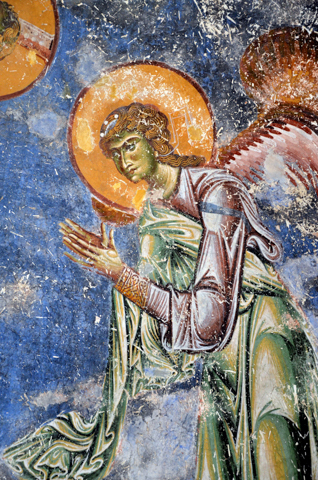 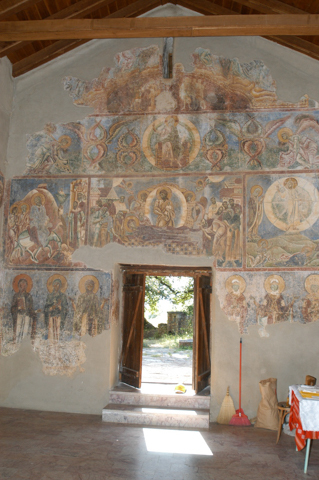 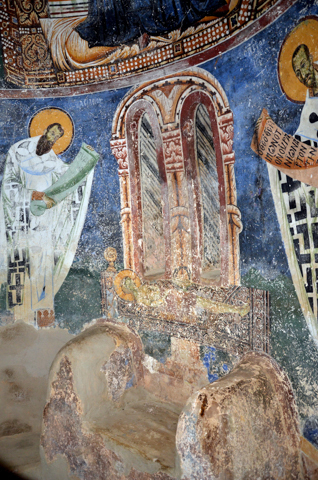 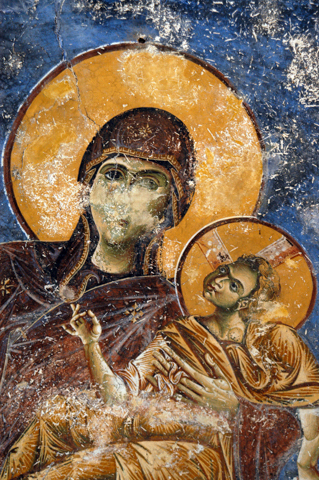 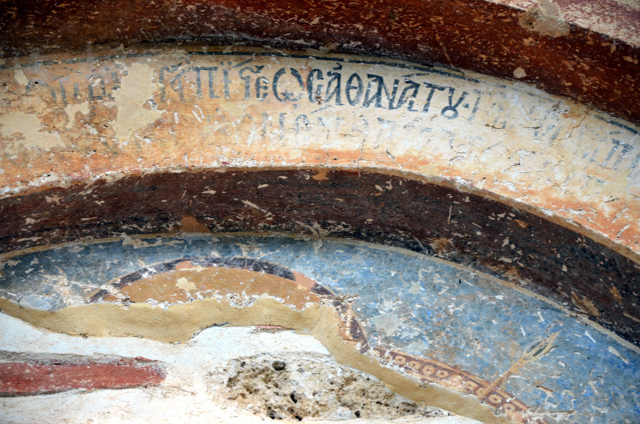 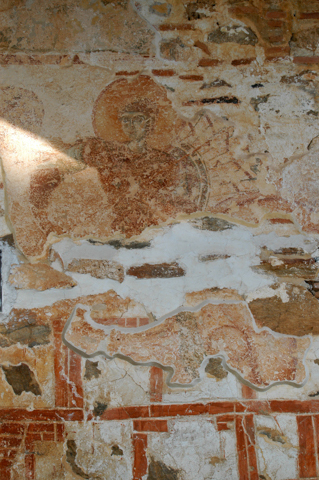 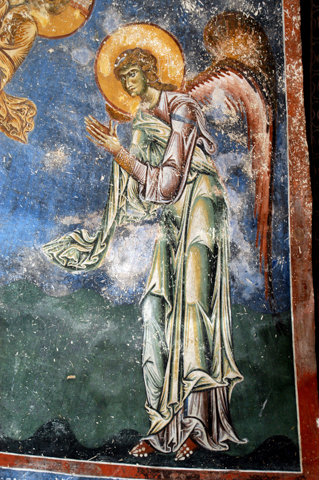 To the left of them is the stunning fresco of Archangel Gabriel, also referred to as the Angel of Kurbinovo, that is featured on the Macedonian 50 Denar coin and the reverse side of the 50 Denar banknote. 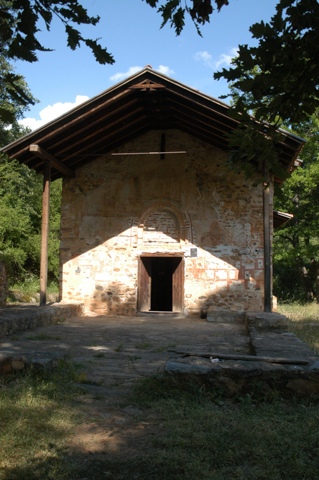 As a single nave church, St. George is small, but measuring at 17meters long and 7 meters wide, it is the largest single nave church in Macedonia. 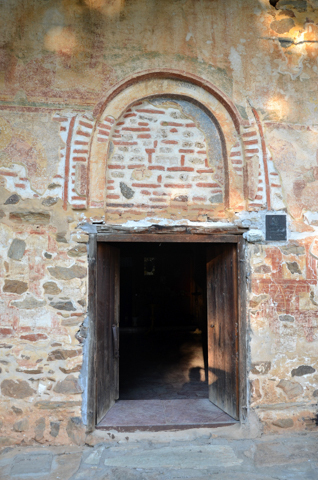 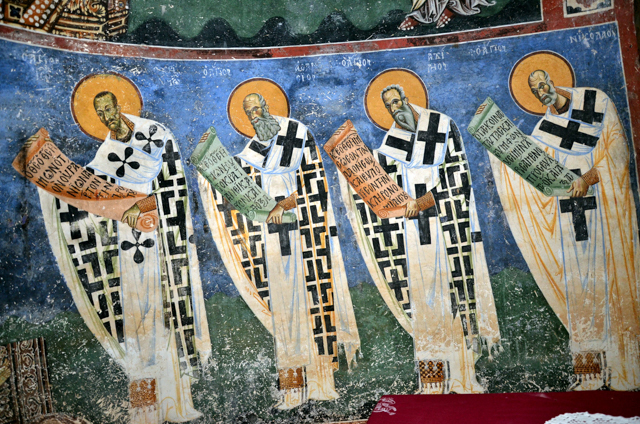 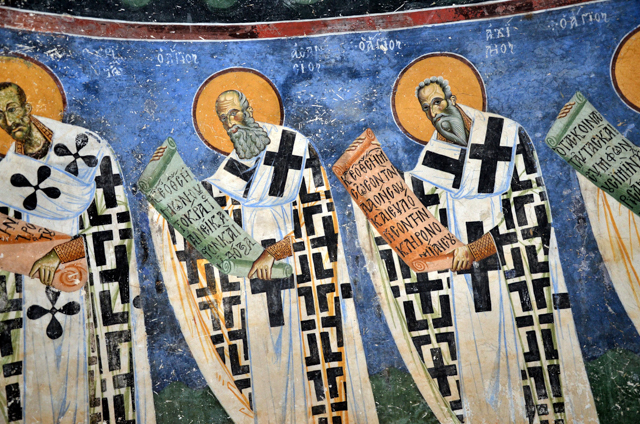 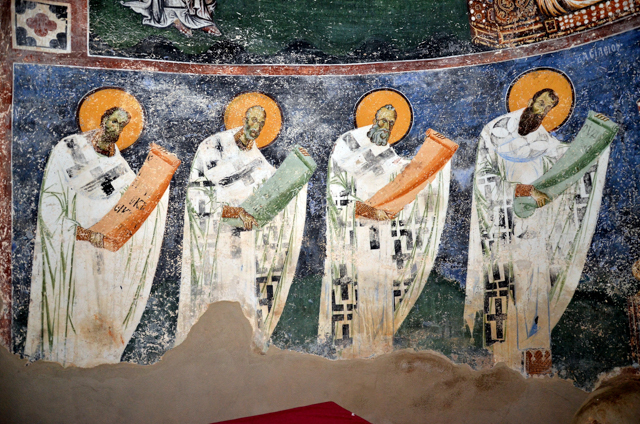 The church was built during the reign of Byzantine Emperor Isaac II Angelos. 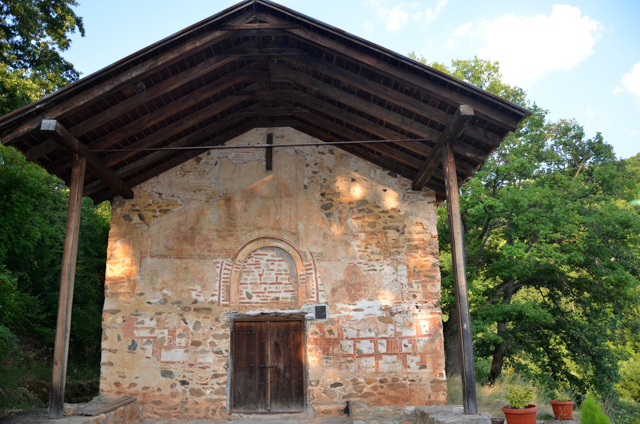 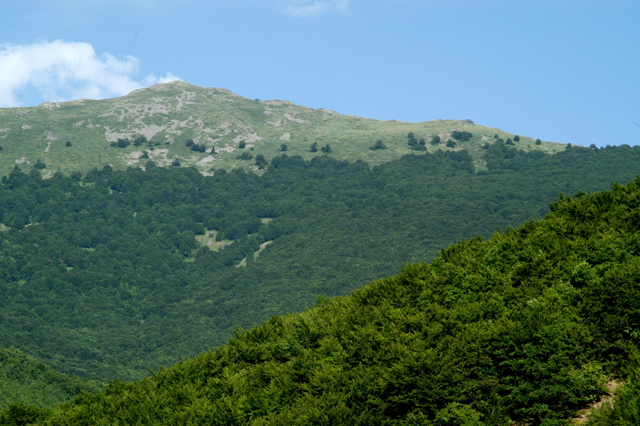 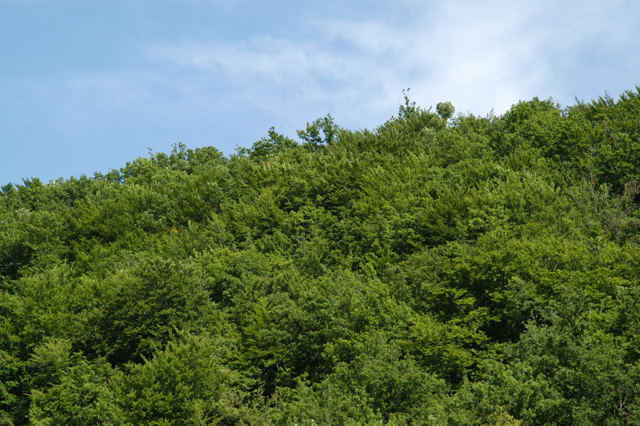 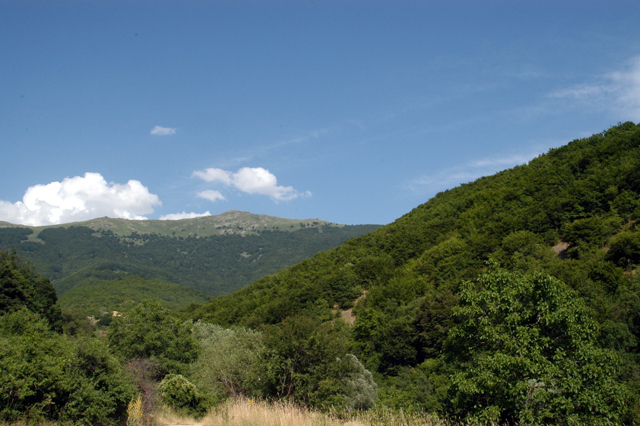 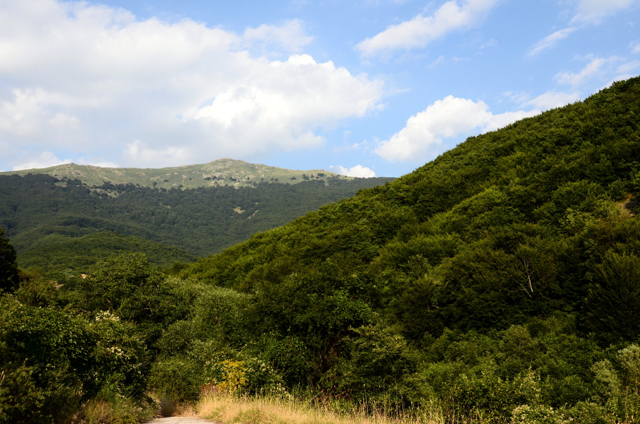 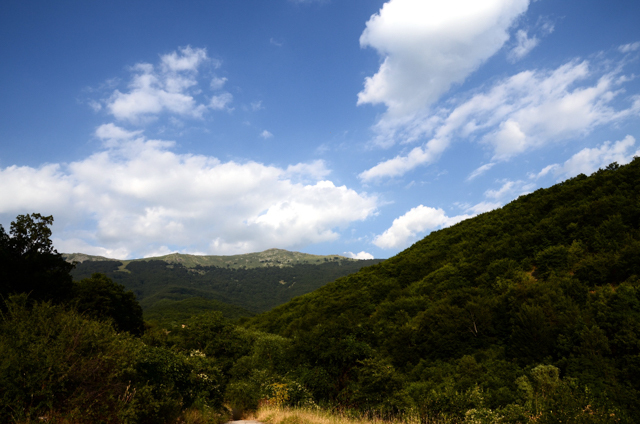 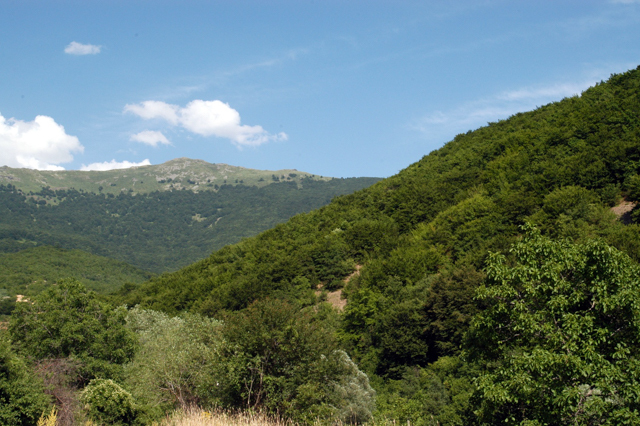 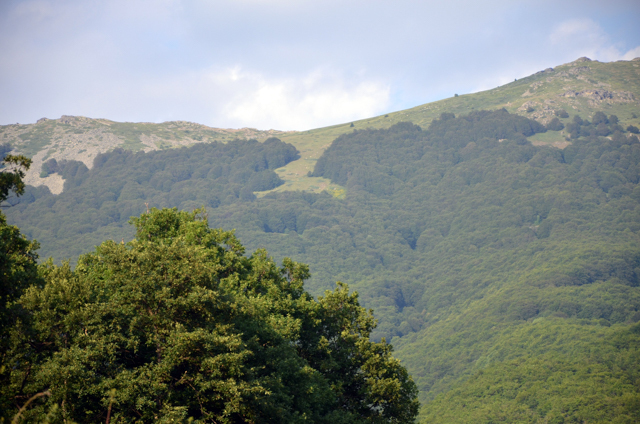 From the center of Bitola , St. George is about a one hour drive (44 kilometers) east on highway E-65 and then taking a left on route R1308, and then taking another left in the village of Rajca. 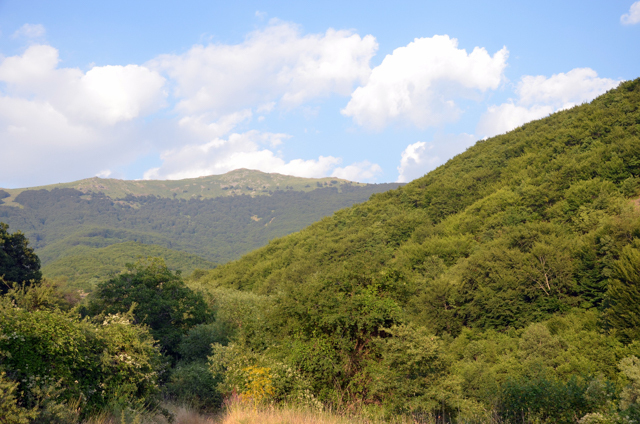 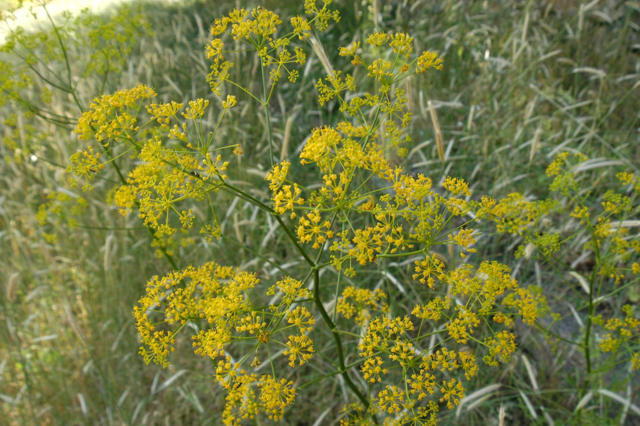 From the center of Resen it is about a 30 min drive (16 kilometers). 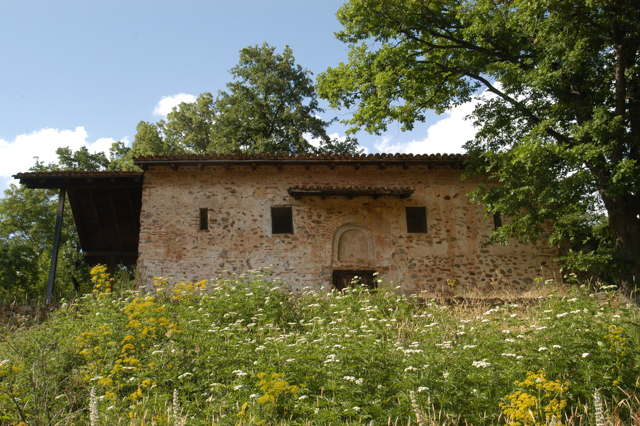 When you get to the village of Kurbinovo, look for a sign on the left posted on a stone wall of building, where you should see the diagram of a key and an arrow. 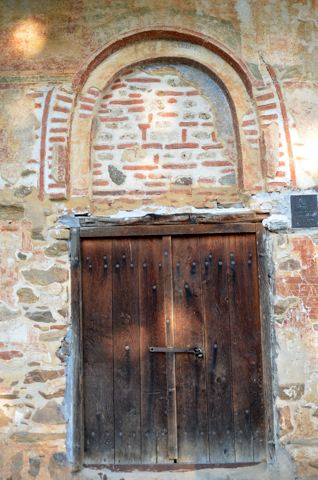 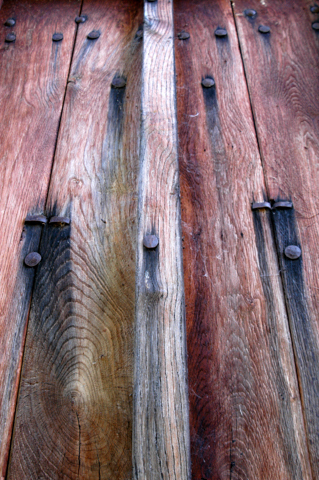 This is where you will need to stop to pick up the key to the church. 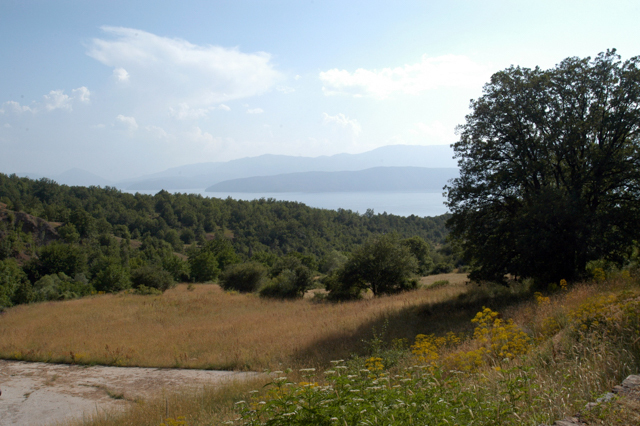 The setting is wonderful, great for picnicking and taking nice strolls while enjoying the great air.